If you're looking for a navigation system, consider an aftermarket unit before you reject the FR-S. Or, there's always the Subaru BRZ. The 2015 Scion FR-S is simple, straightforward, and well-executed, making it the perfect affordable sports car. 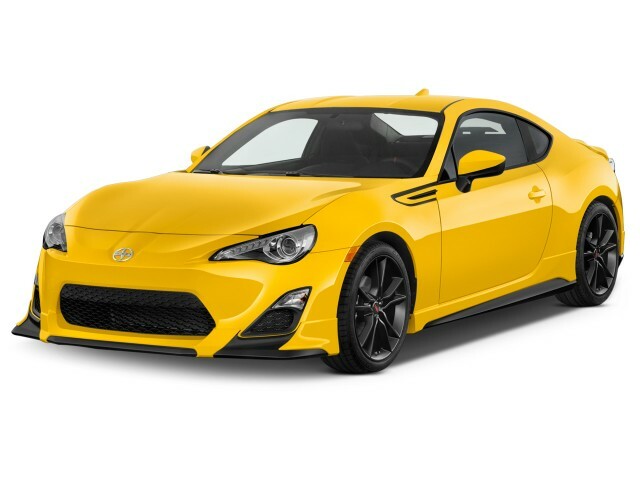 The 2015 Scion FR-S strips the sports coupe back to its essence of light, nimble, fun-to-drive spirit, then adds back just enough of the conveniences of modern technology and the benefits of today’s safety. It’s among the purest of enthusiast cars on the market today, and it’s an affordable, engaging drive. This little Scion still touts the brand's economical and relatively practical qualities, but that's not necessarily the focus for the FR-S. Instead, this Subaru-built, Toyota-designed sports coupe is engineered for fun above all else. 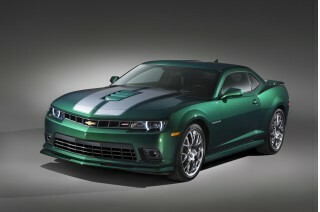 It's powered by a 2.0-liter horizontally-opposed four-cylinder that produces 200 horsepower. Torque is a low point with this particular engine, especially in the low-rev range. You can run the car all the way up to its 7,400-rpm redline, though, where you'll find a little more power when you need it. Steering is a bit of a low point, with the electric power assist taking out much of the feel, leaving behind an intuitive and quick, but not very communicative, wheel. The brakes are easy to modulate and adequate to the car's weight and tire fitment, easily surviving a half-dozen laps on track or a long, fast canyon run. Once you've reconciled yourself with grabbing the flat four by the nape of its neck and squeezing for all it's worth, the FR-S becomes a second skin. Nimble, light (by modern standards), and incredibly neutral in its balance, the Scion FR-S captures the essence of what a sports car should be: honest, inexpensive fun. Simple surfaces and classic proportions give the outline of the FR-S. Details at the nose and tail give a modern, aerodynamic look to the car. Inside, the 2015 Scion FR-S is basic, but well-built and handsome, if not quite beautiful. Sitting the FR-S isn't a chore, either. Though there's a sound pipe to bring some of the car's growling engine note into the cabin, very little actual exhaust noise is heard at all. Wind and road noise can become prominent at speeds above 70 mph. But the seats, in the front, are where the FR-S's interior really shines. Well-bolstered, comfortable, with plenty of leg and hip room for larger and taller drivers, the front seats are an excellent offering for a production vehicle. The rear seat is best reserved for children and shorter adults, though it is serviceable for even six-footers in a pinch. On the equipment front, there's not much to talk about: the Scion FR-S only has a few choices to be made. Fortunately, those choices include available premium audio with apps capability, while standard gear includes Bluetooth, keyless entry, and climate control. The National Highway Traffic Safety Administration (NHTSA) has given the FR-S a five-star overall score, while the Insurance Institute for Highway Safety (IIHS) has rated it 'good' in all categories--save for an Acceptable score in the new small overlap frontal category, still good enough for a Top Safety Pick award. The 2015 Scion FR-S hasn't been crash-tested yet, but it is unchanged from the 2013 model year, so it should score well. Last year's results didn't include small-overlap front tests, however. With six airbags, anti-lock brakes, stability and traction control all among the standard safety equipment, we expect the 2015 Scion FR-S to be a good performer in future crash testing. The Scion FR-S drives as it looks: low, light, nimble, essential. The 2015 Scion FR-S is an entirely modern vehicle from end to end, despite drawing inspiration from classic Japanese sports car design. The cabin of the FR-S follows this sports-first, minimalist aesthetic, using carbon-look accents and durable plastics molded in flowing, simple lines. The nearly monochromatic upholstery helps put the gauge cluster front-and-center for the driver. Sleek, low, and curvy, the FR-S manages the old-school long hood/short deck proportions that, for many, define the look of a sports car. Detail work at the nose includes a wide grille opening, sharply angled vents in the lower fascia, and smooth curves that flow into the hood and fenders. The fenders themselves are slightly flared, and also bulge upward from the hood line. A simple side profile sees the roof sweep up and dive down again in a graceful arc, meeting the rear fenders and stubby tail. There are two transmissions and only one engine available in the 2015 Scion FR-S, making it an easy choice for shoppers. Both transmissions deliver the same fun-factor for the driver, thanks to the solid, well-tuned chassis. What the FR-S does in corners is convert gasoline and $25,000 into an infinite supply of fun behind the wheel. Light, tossable, and balanced, the limits of the Scion FR-S aren't very high, thanks in part to fairly low-grip standard tires, but they're very approachable, and, best of all, it's easy to keep the FR-S near those limits--a feat almost impossible, on the street or the track, in stratospherically high-performance cars. This year, the suspension's mildly retuned to mimic that of the Subaru BRZ more closely. Power isn't the Scion FR-S's strong suit. 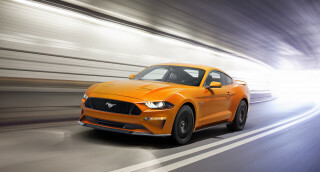 A 200-horsepower 2.0-liter four-cylinder horizontally opposed ("Boxer") engine sits low and rearward in the nose, linked to either a six-speed manual or a paddle-shifted six-speed automatic powering the rear wheels. Maximum torque output is 151 pound-feet, arriving at 400 rpm short of the 7,000-rpm power peak. Neither power nor torque figures are impressive, even for a lightweight sports car. Fortunately, the FR-S is less about its 6.8-second 0-60 mph time than it is about what it does entering a corner at 60 mph. 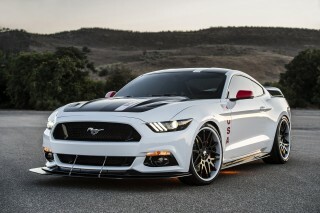 A number of factory performance upgrades are also available, including: a cold-air intake; an exhaust system; lowering springs; strut tie braces; anti-roll bars; upgraded wheels; and larger brake kits. Two adults at most fit in the Scion FR-S cockpit; there's ample trunk space, though. Don't be fooled by the Scion FR-S's spartan interior. While there may not be too many moving parts inside, the things you can touch all feel solid and well-built. Cargo space isn't abundant, but it's not bad for a two-plus-two coupe. The trunk is reasonably sized with a well-shaped aperture allowing medium-sized bags to fit easily. The rear seats also fold flat to open up much more horizontal space, though taller items won't fit in the trunk. Scion says the FR-S was designed to hold four wheels and tires, a toolbox, and a helmet--all you need for a basic day at the track. The front seats are roomy and comfortable, while also offering enough bolstering for support during spirited driving. Head and leg room are also quite good, accommodating drivers over six feet tall with ease. The rear seats are small, and only minimal knee and leg room is available with the front seats at their rearmost positions. With slightly shorter front-row occupants, the rear seat can work even for taller adults, but on the whole, it's best reserved for children and gear. Safety scores have been good, and the Scion FR-S does well in the latest IIHS test. Advanced technology safety features like blind-spot monitors and lane-keeping aren't available in the Scion FR-S, but, at the $25,000 price point, that's understandable. Standard safety equipment includes the basics, like six airbags, anti-lock brakes, and stability & traction control. A limited-slip differential improves low-grip traction and starts from a stop. 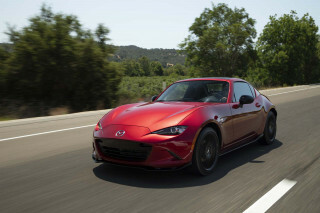 The National Highway Traffic Safety Administration (NHTSA) has given the FR-S a five-star overall score, while the Insurance Institute for Highway Safety (IIHS) has rated it 'good' in all categories--save for an Acceptable in the new small-overlap frontal category, good enough for a Top Safety Pick award. A driver-focused set of features is complemented in the Scion FR-S by basic navigation and infotainment. The 2015 Scion FR-S doesn't come with many optional features, but the standard kit is pretty good on its own merits. Some of the optional extras for the FR-S include: BeSpoke premium audio with a 5.8-inch LCD touchscreen display and 340-watt output and limited apps capability; plus accessories including wheel locks, carpeted trunk and cabin floor mats, an ashtray kit, and mud guards. 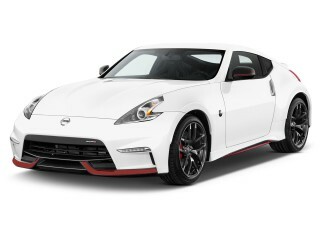 One notable absence is navigation, which isn't available on the FR-S. The BeSpoke apps capability can add some limited navigation functionality, but for an FR-S with navigation, you'll want to check out the Subaru BRZ. Most of the options and upgrades can be had a la carte, rather than bundled into pricey packages, making it easier to get just the FR-S you want, without stuff you don't need. Highlights of the standard equipment include: manually adjustable six-way driver and four-way passenger front seats; fold-flat rear seats; a first-aid kit; a leather-wrapped steering wheel; eight-speaker Pioneer audio system; USB/Bluetooth/auxiliary inputs; and more. Gas mileage is okay, but the Scion FR-S doesn't peg the economy gauge as well as it does the fun-to-drive one. The automatic transmission in the 2015 Scion FR-S is the clear winner for fuel economy, even if it's not quite as much fun to play with. With the automatic transmission those figures land at 25 mpg city, 34 mpg highway, and 28 mpg combined--much more on the target you'd expect for the FR-S. 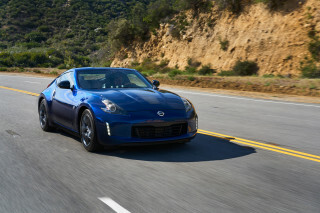 The manual-transmission Scion FR-S rates 22 mpg city and 30 mpg highway for 25 mpg combined. Those are good, but not especially impressive figures for a compact, lightweight four-cylinder car. With 455-horsepower sports cars like the Chevrolet Corvette Stingray achieving as much as 30 mpg highway and 21 mpg combined, the Scion FR-S's 200 horsepower and 25-28 mpg combined rating is underwhelming. Best handling car I've ever owned. The car fits like a glove. Steering wheel, seats, instrumentation, location of E-brake, padding top of driver's door, pedals great for heel and toeing. Totally fun driving experience daily. Getting out of this... The car fits like a glove. Steering wheel, seats, instrumentation, location of E-brake, padding top of driver's door, pedals great for heel and toeing. Totally fun driving experience daily. Getting out of this car similar to getting out of a hot shower...don't want to ever do it. Has just enough power, best used when revved near it's limits. Great car for daily driver, road trips, yet twisty back roads it's forte. I would recommend this ride to anyone who just loves the driving experience. 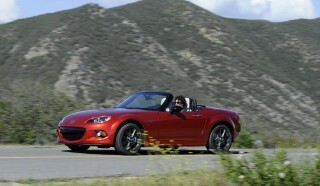 A lot of bang for the buck, very similar handling to Lotus Elise, Porsche Cayman, for much less money. I'm 68yo and my FRS has 6-speed manual transmission, the only way to go. Reinventing my younger years with this car.